“The old gentleman’s head was sunken on his breast; there was no response to Thumm’s touch. More swiftly than it seemed possible for a man of his bulk and weight, the Inspector charged around the bench and grasped Lane’s hand. The cousins even burned their bridges with their Barnaby Ross publisher, Viking, by printing the novel unabridged in a pulp monthly two months before the novel was released. They were done with Viking, they were done with Drury Lane. They were done with Barnaby Ross. For the next 38 years, they would concentrate only on the Ellery Queen brand, as it attached to films, radio shows, radio shows, comic books, books written by others, television shows, and so on. The collateral damage, though, included the Thumms, father and daughter, who were central characters in the Drury Lane mysteries. I can understand the need to cut back from four novels a year schedule, but this period for the writings of Lee and Dannay was incredibly creative, leaving great room for speculating on “what if’s” – what if Patience Thumm’s adventures continued, what if Ellery Queen continued his investigation with students in tow, what if the cousins burned out and walked away from writing altogether?, and so on. The novel, however, shows the weakness of historical fiction. The mystery involves wholly invented long lost secrets of William Shakespeare, all of which fall flat. In trying to rewrite literary history, the cousins simply present a barely credible tale. The literary assumption that only a handful of Shakespearean scholars exist, and toil away in small private libraries also stretches believability. So, what magazine was willing to publish an unpublished novel like Drury Lane’s Last Case as a snub to a major publishing house? What publisher would risk jeopardizing future access to mystery writers associated with one of the nation’s leading publishers? The answer is Mystery League Magazine, which included the last Barnaby Ross novel in their first issue. Mystery League Magazine was published by two cousins, Manfred Lee and Frederic Dannay, not yet known to the world as Ellery Queen, a mystery league, indeed. 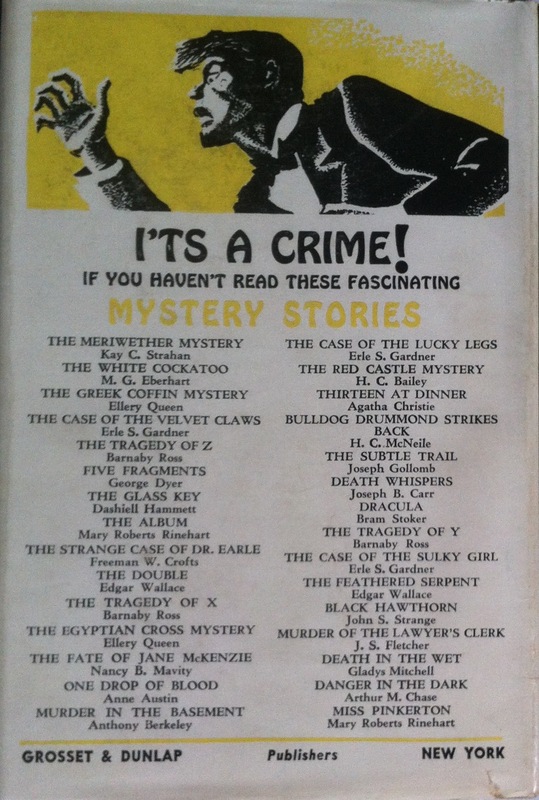 Besides Barnaby Ross, the first issue of Mystery League published stories by Ellery Queen, Dorothy L. Sayers, and Dashiell Hammett. Quite the collection! The magazine only lasted four monthly issues, from October 1933 through January 1933. It was not a success, but the cousins would try again to resurrect the idea of their own mystery magazine. Too bad the same could be said for Patience Thumm.